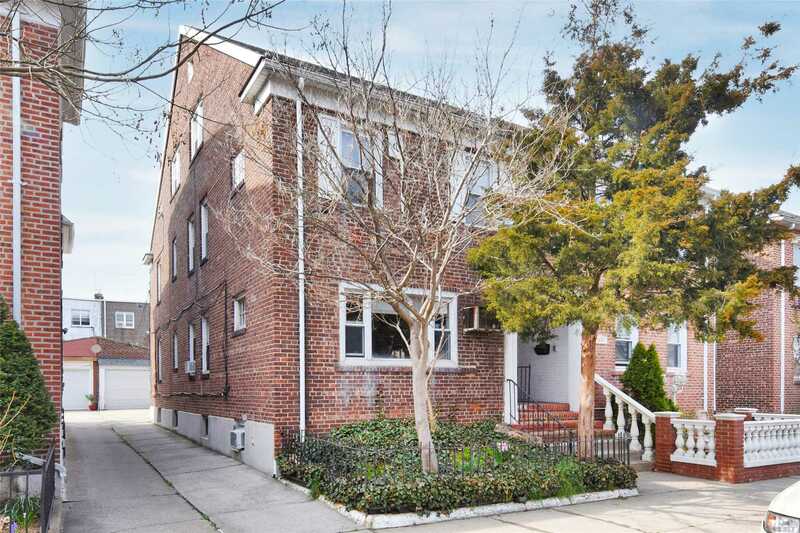 Beautiful Semi detached brick home in Ditmars!. This lovely two family has an owners duplex that includes 3 bedrooms, full bath, updated EIK w/ose, Formal Living Rm & Dining Rm & an Office. The first level hosts a lovely 2 bedroom 1 full bath apartment. Detached 2 car garage, backyard, hardwood floors, New Boiler & hot water heater. Zoned for P.S. 122. Close proximity to the Ditmars train Station, Zoned for PS 122. Floor Plan Level2: Owner Duplex: Liv Rm, Din Rm, Eik W/Ose, Fbth, 1 Bedroom.